Every second year, the Biennale des Antiquaires takes place in Paris in the gorgeous halls of the Grand Palais. Whenever I look at its sinuous, cast-iron Art Nouveau balconies and curlicue stairways, I feel like being in another century. Personally speaking, it is one of the most fascinating places in the French capital and I couldn’t imagine a better backdrop for the most important event in the jewelry calendar. 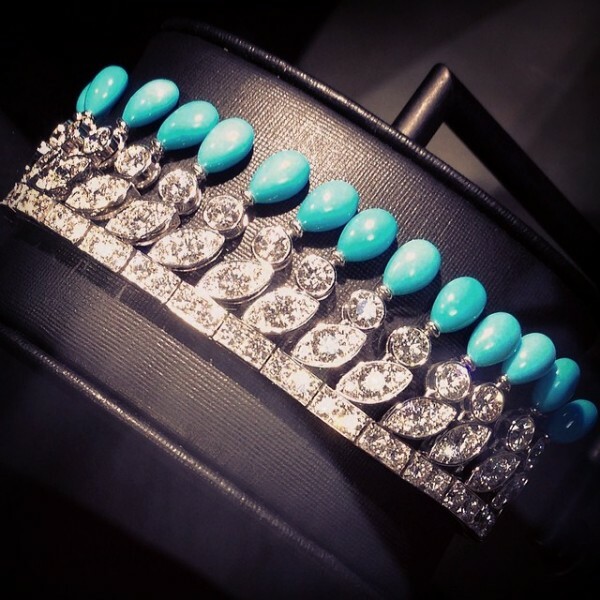 I was invited by Piaget as in 2012 (for the previous post, please click here) and was able to discover the house’s amazingly beautiful EXTREMELY PIAGET collection firsthand. For the 27th edition of the Biennale des Antiquaires, interior designer Jacques Grange paid homage to Versailles and its French gardens with flowerbeds and foliage. The most stunning part was the scented indoor fountain in the center under the gigantic glass dome that master perfumer Francis Kurkdjian had transformed into an olfactory experience. 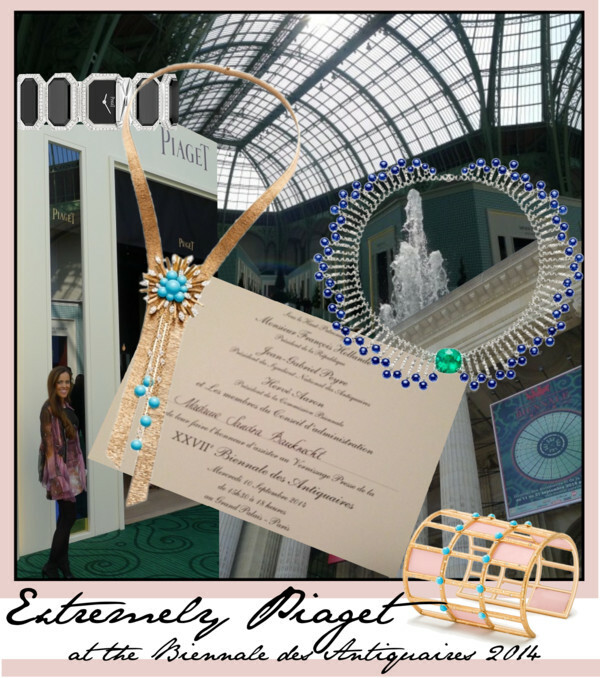 At the Piaget booth, I indulged in the most stunning High Jewellery pieces you can imagine. This year, Piaget is celebrating its 140th anniversary and to celebrate this occasion, the company seeked inspiration for its EXTREMELY PIAGET collection from its stellar period in its creative history from the 1960s and 70s. 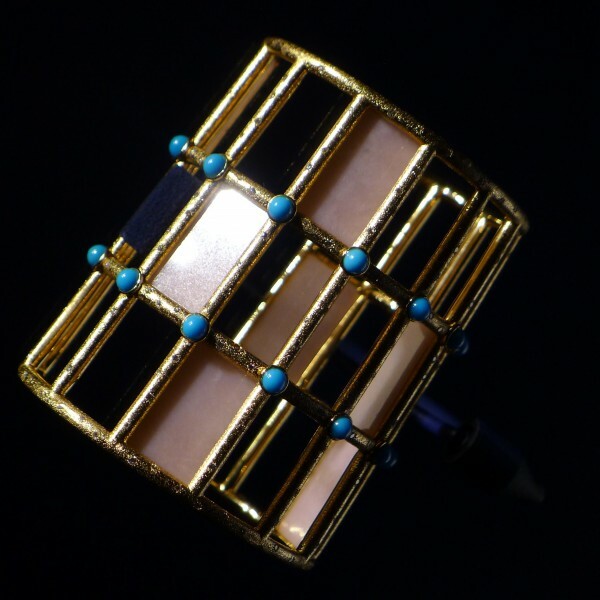 The pieces are enhanced by the most precious materials: diamonds, emeralds, sapphires, hard stones and gold. The collection is also characterized by great freedom of movement and multiple ways of beings worn. 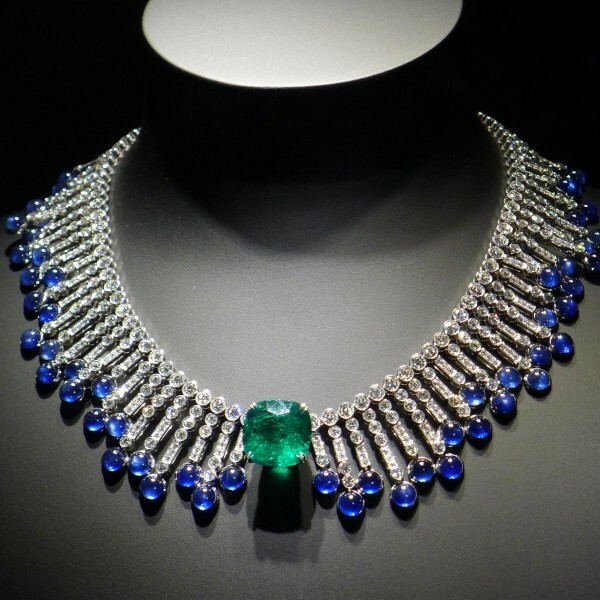 Personally speaking, it was the youngest and most modern collection at the Biennale des Antiquaires this year. You could easily imagine to wear it to a black tie gala or with jeans and a white tee like for example this beautiful bracelet with turquoises from Arizona above. Necklace in 18k white gold set with 46 turquoise beads (approx. 301cts), 48 chrysoprase beads (approx. 42cts), 1 emerald-cut cabochon (approx. 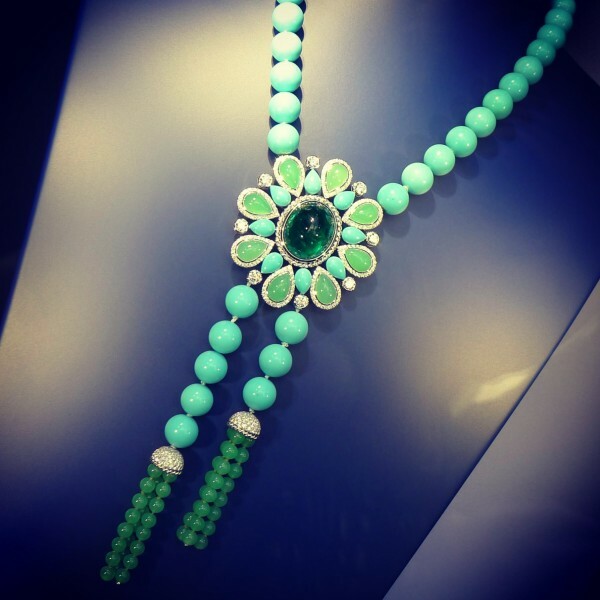 23.14cts), per-shaped chrysoprases, pear-shaped turquoises and brilliant-cut diamonds. Sautoir exceptional High Jewellery watch in platinum set with 195 marquise-cut diamonds (approx. 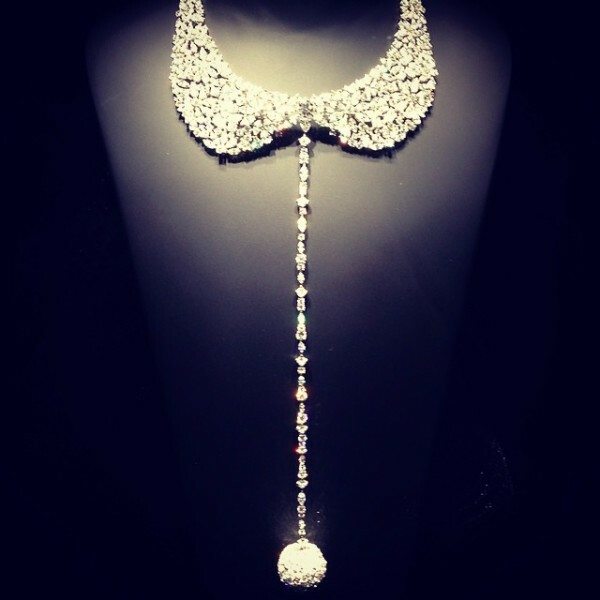 66.20 cts), 282 brilliant-cut diamonds (approx. 33.20 cts), 35 cushion-cut diamonds (approx. 16.30 cts) and 16 pear-cut diamonds (approx. 7.60 cts). Piaget 56P quartz movement. Necklace in 18K white gold set with 84 blue sapphire beads from Sri Lanka(approx. 127.40 cts), 490 brilliant-cut diamonds (approx. 41.69 cts) and 1 cushion-cut emerald from Columbia(approx. 19.39 cts). 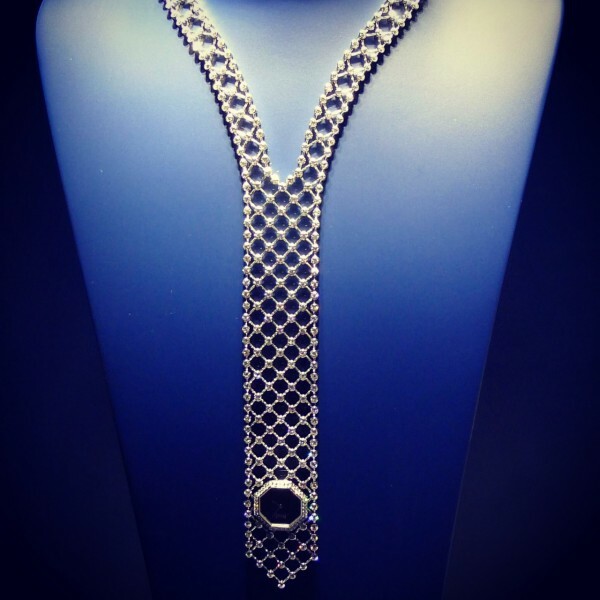 Sautoir watch fishnet mesh in 18K white gold set with 404 brilliant-cut diamonds (approx. 31.30 cts). Piaget 56P quartz movement. Bracelet in 18K pink gold set with 8 pink opal plates (approx. 23.25 cts), 18 turquoise beads (approx. 5.31 cts) and 220 brilliant-cut diamonds (approx. 1.81 cts). Cuff watch in 18K white gold set with 1’699 brilliant-cut diamonds (approx. 20.50 cts) (snow-setting). Natural opal dial. Piaget 56P quartz movement. Ear cuffs in 18K white gold set with 28 marquise-cut diamonds (approx. 11.59 cts) and 20 brilliant-cut diamonds (approx. 4.48 cts). 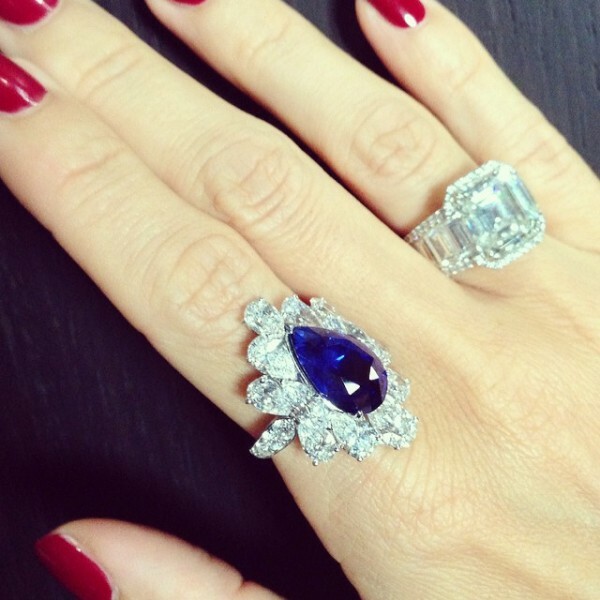 Ring with a sapphire (approx. 7 cts) and 10 diamonds in pear cut and 2 marquise diamonds (approx. 7.5 cts together). 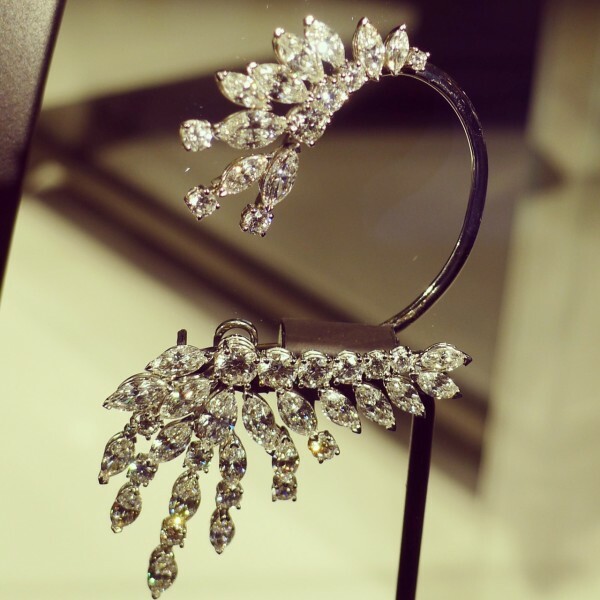 I fell not only in love with this piece… The EXTREMELY PIAGET collection marks the continuity of the brand’s presence in the world of High Jewellery. The 1960s and 70s were some of their most innovative years – and the same is true of 2014. 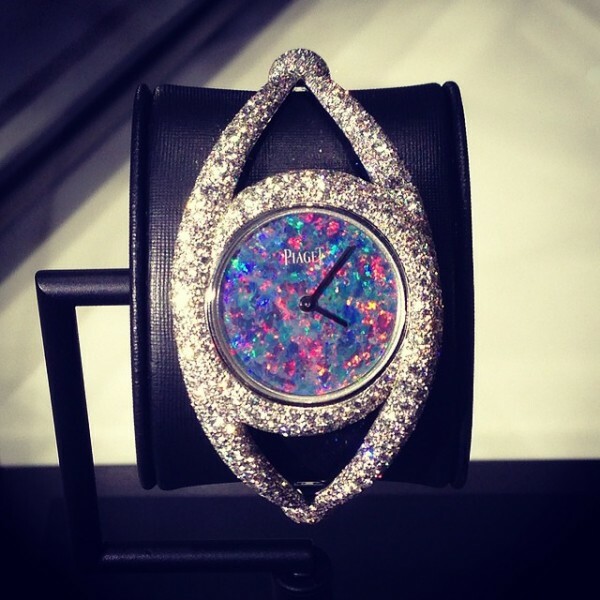 Congratulations, Piaget, for this amazing collection!